How do you help an International packaging giant get aligned more closely with the needs of its new North American customers? Shiny developed engaging product messaging that ignited new customer relationships. SIG Combibloc is known for its innovative carton packaging and eco-friendly materials. 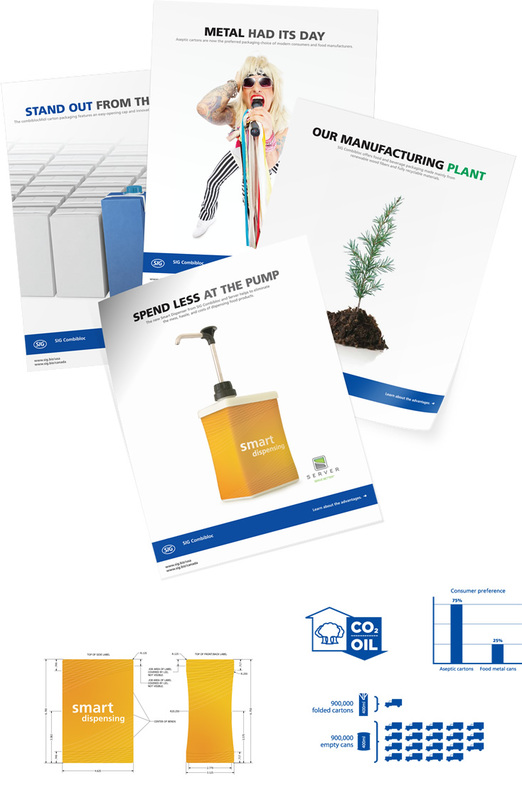 As the company sought to break into the U.S. market, we created a series of sell sheets, which can double as print ads. Our solution—communicate the benefits in a fun and engaging way while helping the sales team differentiate its products. Connect with us today to find out how we can engage your target audience.